Kenosha County is home to many notable and successful companies and businesspeople. 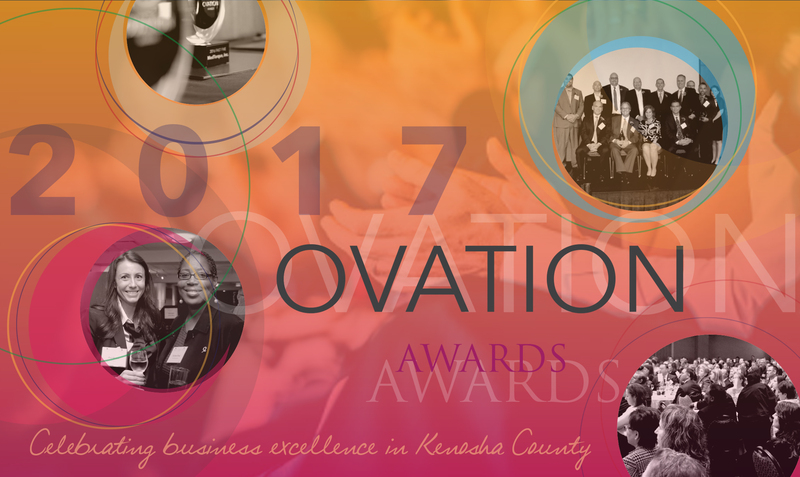 The Ovation Awards, presented annually by the Kenosha Area Business Alliance in partnership with BizTimes Milwaukee, recognize the best of the best: companies and individuals that have exhibited a history of growth, innovation and a positive overall impact on the community. The program and the related feature coverage by BizTimes provide a fantastic opportunity to learn about the companies and people that are driving Kenosha County’s economy – now and into the future. This year’s award winners represent a diverse group of businesses and entrepreneurs that are leaders in their respective industries. We congratulate them on their success, thank them for their investments in the community, and encourage them to continue innovating and striving for excellence. On behalf of our sponsors, Johnson Financial Group, the University of Wisconsin-Parkside, CenterPoint Properties, CliftonLarsonAllen, Colerget Conference Center and our supporting sponsors Dooley and Associates and the Prairie School, we are proud to recognize and celebrate their collective achievements. Congratulations to these dynamic companies and entrepreneurs! Let’s continue to celebrate growth in the Kenosha area throughout the year. Thank you to our sponsors, Johnson Financial Group, the University of Wisconsin-Parkside, CenterPoint, CliftonLarsonAllen, The Colergét Conference Center and The Prairie School for their investments in the Kenosha- area business community. Read the entire story at the BizTimes.